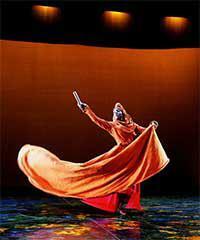 Oahu theatre and dinner shows are the most famous to be found in Hawaii. Oahu is the place to go if you're looking for nightlife as the dinner shows and evening theatre. Oahu's Waikiki and Honolulu areas are certainly the best in the islands. 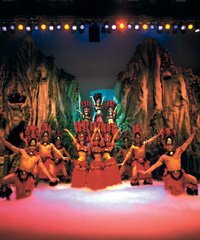 Honolulu is definitely the "Broadway" of the Pacific and you should consider taking in one of Honolulu's great shows such as "The Magic of Polynesia" or the "Rock-A-Hula Legends in Concert". Of all the islands in Hawaii, Oahu is the island where you want to consider enjoying a night out at the theater or going to a Dinner Show. We're certain that most of you have heard of Don Ho, and although he is no longer with us he established Waikiki as a showplace and the starting point for many of Hawaii's greatest entertainers and Waikiki is rich in the tradition of providing some of the best music and theatrical entertainment to be found in the islands. 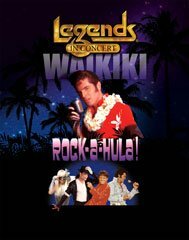 Most of these shows are probably just walking distance from your Waikiki hotel and they are simply a great way to spend your evening on Oahu.